It was a bright, beautiful and sunny day here today and heard that our temps reached 81 degrees late this afternoon. Tomorrow is supposed to be rainy, 50s and a low in the 20s. How is that for a temperature roller coaster? I had a bigger than usual lunch today since I ate a leftover steak that we grilled over the weekend and had steamed broccoli with it. 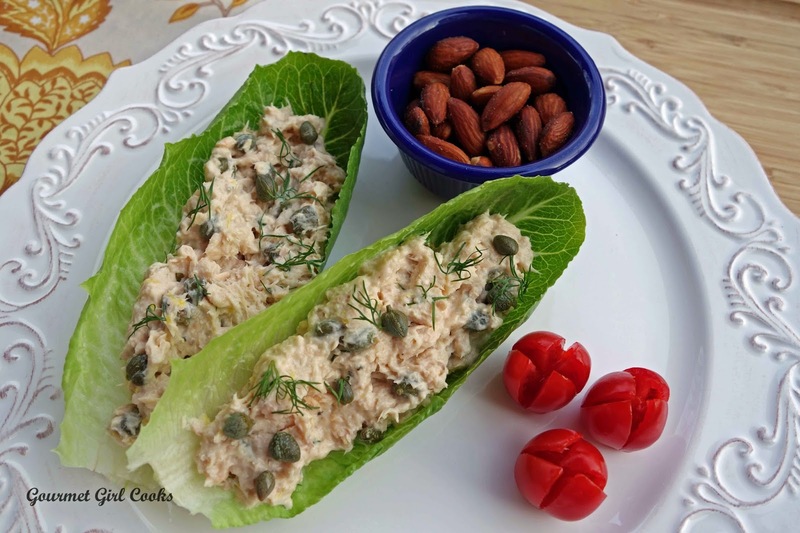 So, this evening I reheated last night's leftover Chicken w/ Roasted Tomatoes and Capers for hubby and made myself quick and easy Salmon Salad Lettuce Cups w/ Lemon-Caper Mayo. I simply mixed a couple tablespoons of olive oil based mayo with a teaspoon or two of fresh lemon juice, lemon zest, capers, fresh dill, a dash of salt and black pepper and then tasted it to make adjustments as necessary. 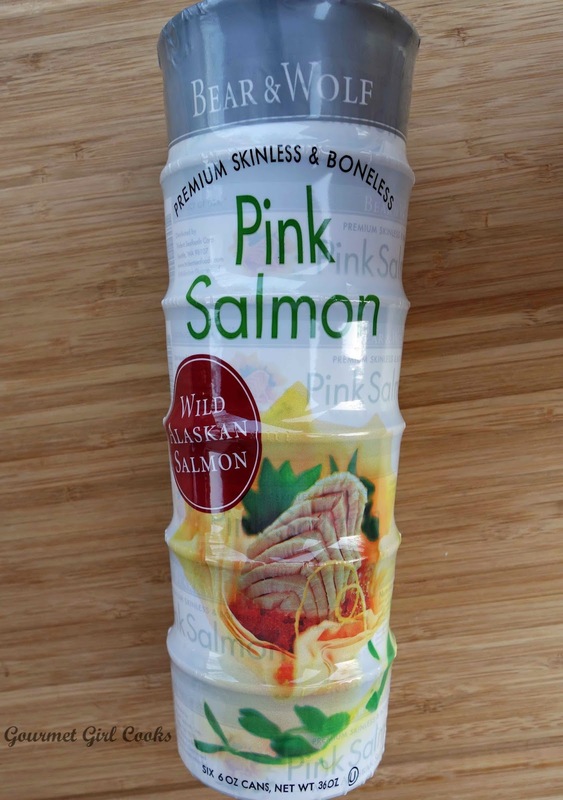 I drained a can of Alaskan salmon and broke it up into chunks in a bowl and folded in the mayo. 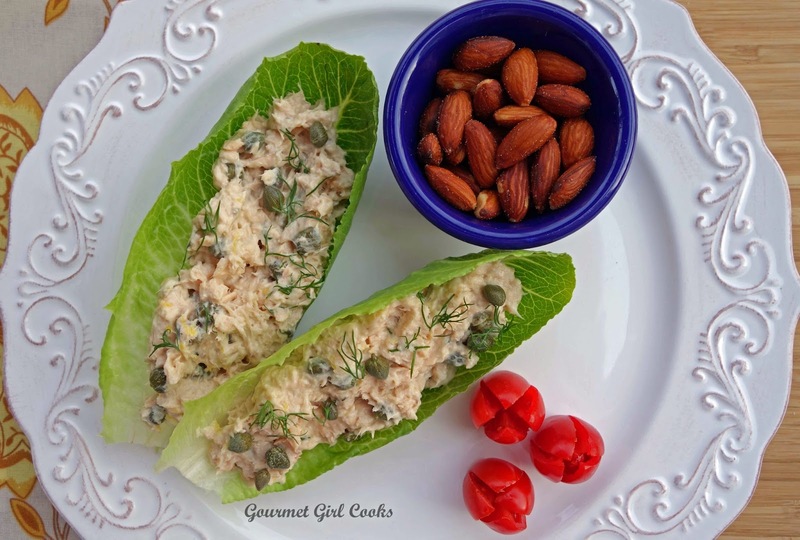 I filled a couple of small artisan romaine lettuce leaves with the salmon salad and had some roasted almonds as my "side dish". It was a perfect light dinner for this unseasonably warm day. I snapped a few photos below. Enjoy! 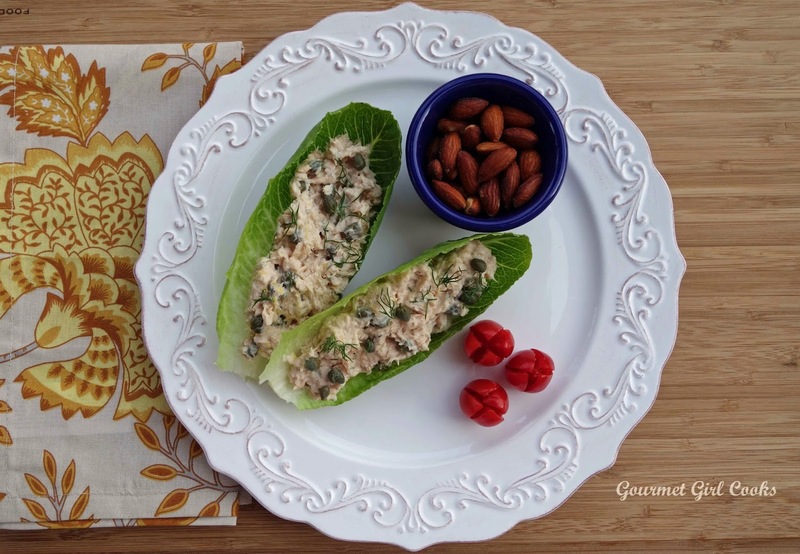 I find this salmon at Costco as well as the artisan romaine I served it in.